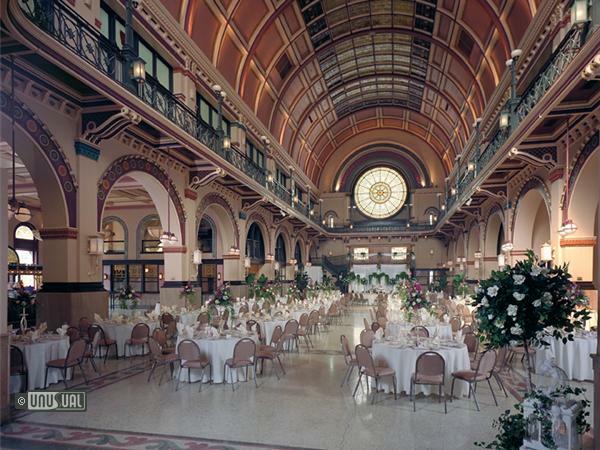 A full service hotel situated in the heart of downtown Indianapolis and located in America's first "Union Station (as in Union Pacific Railroad that is)," Crowne Plaza Hotel and Conference offers a unique setting of historic ambiance for guests whether traveling on business or pleasure. 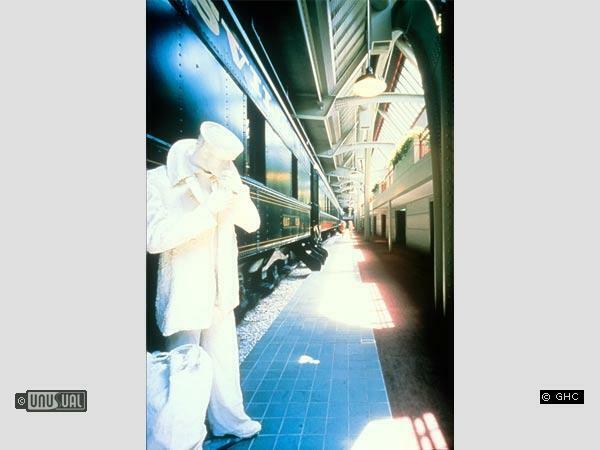 One of the most popular features of the hotel are 26 authentic Pullman sleeper car rooms. 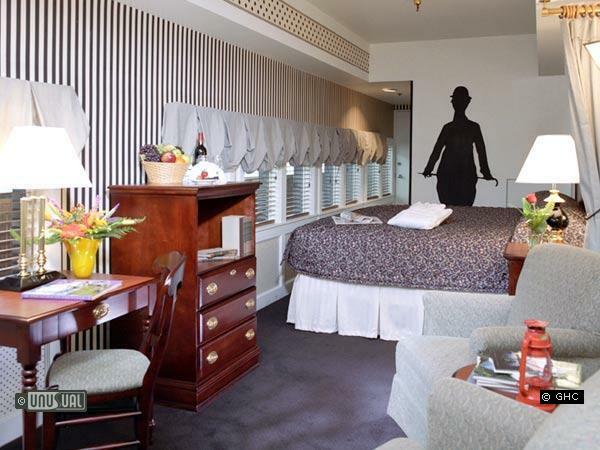 Resting on their original tracks, the 13 train cars each house two guestrooms named and decorated after famous personalities from the early 1900's such as Charlie Chaplin, Winston Churchill, Cole Porter and Jean Harlow. The hotel also features fiberglass ghost figures that, today, still lovingly haunt the premises. The facility is still an active railroad station and trains pass through in a regular basis. 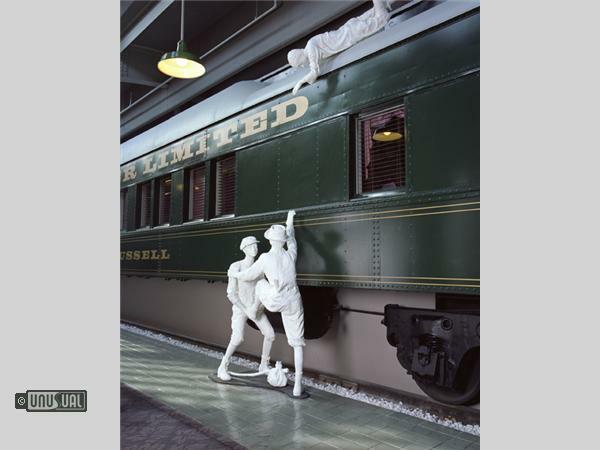 The muffled rumbling and subtle vibrations of the trains as they roll through the building enhances the ambiance of staying in the hotel where guests experience the authenticity of a living railroad station. Hotel guests can also enjoy other amenities such as on-site restaurant and bar, indoor pool, and fitness room. 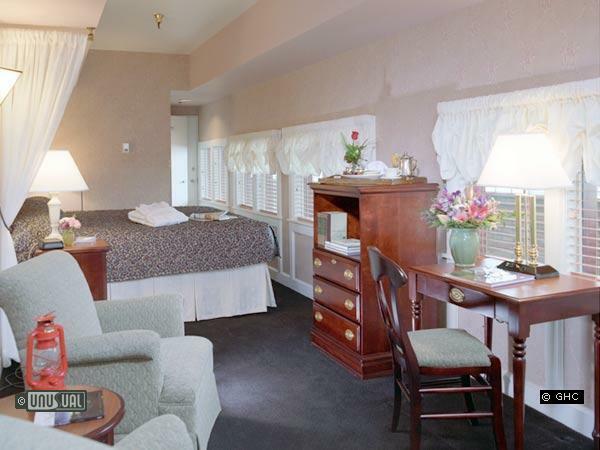 Several area attractions, restaurants and night life are within walking distance. 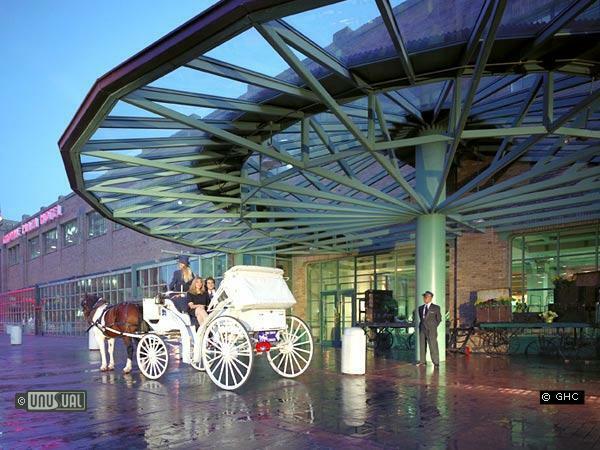 The hotel offers many unique packages to include a Pullman Train Car Package that includes an overnight stay in a Pullman train car, downtown carriage ride, drinks for 2 in Pullman's Lounge and a scenic carriage ride through downtown Indianapolis. Another package offered is the Family Fun Package which includes an overnight stay and 4 tickets to the Indianapolis Zoo and Children's Museum of Indianapolis. We stayed at this hotel adn used some of the conference space for a couple summers in a row. The staff is friendly and helpful and the space is inviting and interesting.